This week, I had the chance to speak with the first ever AmeriCorps member to serve at the Weitzman Institute (WI). Some may know Khushbu Khatri from her involvement in a multitude of projects but few are fortunate enough to know the woman behind the work. Though she started from the bottom as an AmeriCorps member, she is here now as a vital employee of the WI research team. As she reflects on her experiences as an AmeriCorps member and then a research assistant, we learn about the projects she is most proud of through her perspective. In Fall of 2011, Project ECHO was merely an idea in the minds of those who worked at the Weitzman Institute. When Khushbu was interviewed for her AmeriCorps position, she was asked about what she knew of ECHO. She recalls how she was caught off guard when “Daren Anderson asked me about my knowledge of ECHO, so I had to furiously Google the project in hopes of finding something intelligent to say.” Little did she realize that she would be hired in a few weeks and begin one of the most successful projects at Weitzman. Khushbu’s involvement in the success of ECHO is only one of her many accomplishments. In 3+ years with Weitzman, she has published two papers. Her first publication was in May 2013 titled, “Project ECHO: Replicating a Novel Model to Enhance Access.” (2) As a research assistant, she has also been involved in the writing of numerous grants. She shares with me that, “my first successful grant was from the Vertex Foundation for $50K but I am most proud of my $500K grant for Project Next Steps.” Project Next Steps is a randomized control trial of Project ECHO: Pain. The focus of Project Next Steps is to study the effects that ECHO has had. The project is a huge undertaking by WI (if you could not tell from the $500K price tag) and has the potential for huge improvements in patient care. For Khushbu, the work is never done since there is always room for improvement. After all, the rest of her salubrious co-workers at Weitzman operate with the understanding that the current health care systems is not perfect and improvement is necessary for the benefit of both patients and frontline health care professionals. At the end of our conversation, Khushbu shared with me her excitement for the PCORI project, which is scheduled to start in January 2015. In my short time at Weitzman thus far, I have learned that her co-workers and anyone who has worked with Khushbu has come to respect her knowledge and strong work-ethic. It is for those reasons that she and the projects she has worked on deserve the spotlight this week. 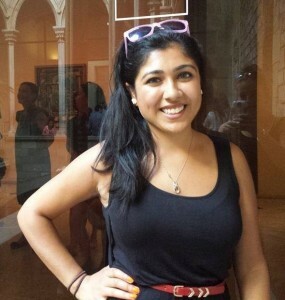 Through the eyes of Khushbu, we learn about some of Weitzman’s most successful projects. If you would like more information about Project ECHO, Project Next Steps, or other Weitzman initiatives, please visit our website (http://quality.chc1.com/) or contact Khushbu directly at ([email protected]). I also encourage you to visit the websites cited below for more details.